Day 2 – Arrival into Rio – hotel in Rio. Day 6 – Iguazu falls on the Argentinian side tour – transfer to the airport – flight to Lima. Day 8 – Flight to Cusco – Hotel in Cusco. Day 9 – Free day in Cusco – Hotel in Cusco. Day 10 – Train to Machu Picchu town – hotel in Aguas calientes. 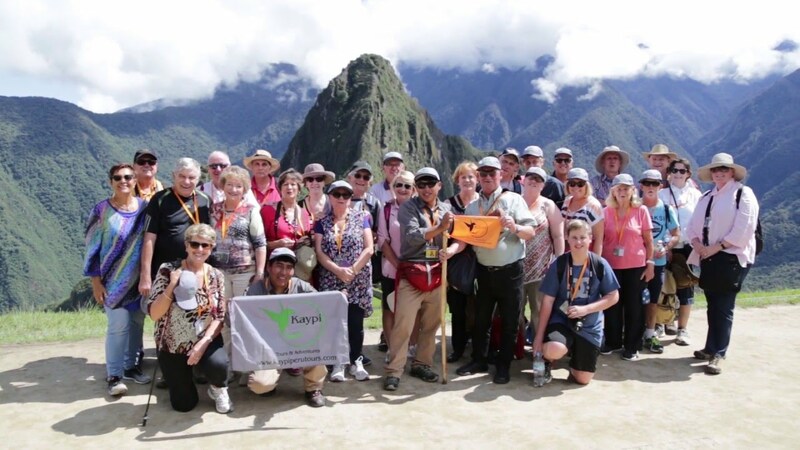 Day 11 – Machu Picchu guided tour – back to Cusco. Day 2: Brasil for you! After your arrival in Rio de Janeiro our representative will be waiting for you to pick you up and take you to the Hotel. You can explore The city by your own. You will spend the night in Rio de Janeiro. Day 3: Wonder of the world! Today we will pick you up in the morning around 8:00am (time to be reconfirmed once in Brasil) and you will be taken to the Redeemer Christ and the Sugarloaf Mountain for taking good pictures and historical information about this magnificent statue in Brazil. After touring you will have the rest of the day to explore Rio de Janeiro by your own. After breakfast we will pick you up to take you to the airport for your flight to iguazu Area. Once you land in Iguazu our representative will be waiting for you to pick you up and take you the hotel. The day is your – You will spend the night in Iguazu. Day 5: Iguazu Brazilian area. After breakfast you will be picked up around 8:30am to take you to the Brazilian falls for about 2 hours then you will be taken to the birds park to have a chance to see the biodiversity of brazil. You will have free time for lunch and then you will be taken to the iguazu handy crafts market. You will be back around 5pm aprox – You will spend the night in Iguazu. Day 6: Iguazu falls from the Argentinian side! Back to USA. This morning we will pick you up after breakfast (8:30am) to explore again the Iguazu falls, however this time will be from the Argentinian side. We will also visit the milestone of the 3 borders (Brazil, Argentina and Paraguay). After all exploration you will have free time for Lunch. You will be taken to the Iguazu port duty free and then we will go back to the hotel to pick your luggage and then to the Airport for taking the flight to Lima Peru!! After your Arrival in Lima our representative will pick you up and take you to the Hotel. You will spend the night in Lima. Day 7: Enjoying Lima City Tour!!! The tour will end in the afternoon and drop you off at your hotel giving you free time to tour the city as you’d like. Day 8: On the way to Cusco – historical city. After breakfast, we will pick you up and take you the airport where you will take your flight from Lima to Cusco. Once in the City we will transfer you to the hotel – the day is yours. You will spend the night in Cusco. Day 9: Free Day in Cusco!!! Zip Line in the Sacred Valley. Day 10: On the Way to Machu Picchu!!! After breakfast at the hotel, your tour guide will pick you up from the hotel and take you to the train station. You must bring a valid passport for all train travel. The train ride is 1 hour and 45 minutes or 3 hours depending on your train number and train station. After your arrival to Aguas Calientes, or Machu Picchu, our representative will pick you up and take you to your new hotel. The rest of the day is yours. You will have your breakfast in the hotel, and then your tour guide will pick you up and take you to the bus station where you will take the bus up to the majestic Machu Picchu. Once there, you will begin your guided walking tour. Afterwards, you will have a time to explore the Historical Sanctuary of Machu Picchu by yourself. You must bring a valid passport for entry into Machu Picchu. After enjoying Machu Picchu, you will take the bus back down to Aguas Calientes for lunch, grab your bags at the hotel, and then take a train back to Cusco or Ollantaytambo, where a representative of Kaypi Peru tours will pick you up to take your hotel for the night. Day 12: Bye Bye South America. Today we will pick you up and take your to the airport where you will board your flight from Cusco to Lima and then USA. Round trip internal flights in Brasil from Rio de Janeiro to Iguazu – all fees and taxes included. Breakfast included in the Hotels. All pick-ups and transfers included from airport to hotel and viceversa. Entrance tickets to the redeemer Christ and Sugarloaf mountain. Entrance Tickets for iguazu falls in Brazil and Argentina. Service of English speaking local guide. Round trip Lima to Cusco internal flight – all fees and taxes included. City tour in Lima – all tickets included. Round trip train tickets included. Round trip buses up and down to Machu Picchu included.